"I never feel great before races. I don't feel nervous as such, but it seems to manifest itself physically with headaches etc. As it's the norm though, I try not to read too much into it and just trust that I'll feel alright when we get going. Sure enough, as soon as we were through the gate I started to feel fine and comfortably worked through the stampede to get out in front on the track. I've never really raced Fin or Sam before (I'm sure I've been at races with them but certainly not where we ran together) so I didn't really know what to expect beyond the fact they're obviously great runners." 'Fin' is Finlay Wild, who has won the Ben Nevis race seven times in a row, won the (Fellrunning) British Championship in 2015 and amongst other credits has the fastest know time across Skye's Cuillin Ridge to his name. 'Sam' is Sam Tosh, who last year finished in a bridesmaid's silver place in not just the English Championship (to Si Bailey's Gold) but also the British Championship (to Rhys Findlay Robinson). Tebay was Sam's first Championship race this year. "Dropping down to the sheepfold I didn't look behind me but think I had at least a few seconds' gap. I gambled at this point and ignored the flags to take (what I always thought to be) the usual racing line going more directly to the top of Rispa Pike (Checkpoint 1). This proved to be possibly the crucial point of the race at it let Sam put a few seconds into me at the top and bought me neck and neck with Fin. I quickly got back on Sam's heels with Fin not far behind." "At this point I think it's a real shame that they flagged the route this year. Last year I gambled on a sneaky line that kept high between Rispa Pike and Checkpoint 2 on Uldale Head, whilst everyone else dropped left to contour round. Unfortunately for me, they sent everyone my way!" "I pushed Sam once or twice and nipped past him to lead into Checkpoint 2 but he answered straight away to get just in front on the descent and take the lead through the singletrack contour path. Not much you can do to overtake here so I just settled in and trotted along behind him towards Linghaw (Checkpoint 3)." 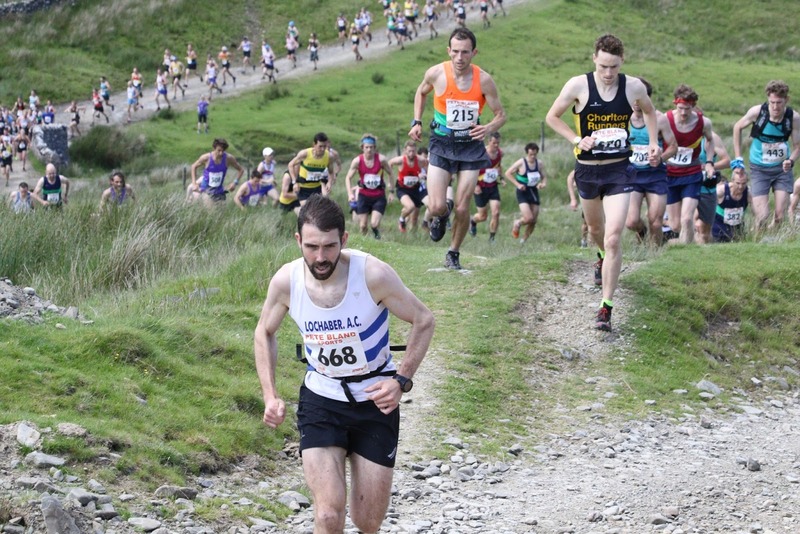 "Descents are never my strong point but I think I hung on, off Linghaw to keep the same few seconds behind Sam down to Carlin Gill and the start of the last and biggest climb of the race, up Blease Fell. About half way up Fin came storming past me (told you I was crap at walking up hills)"
FRB - yes you did, and I told you you'd be fine once racing! but anyway what happened next!? "Sam continued to look strong up ahead. 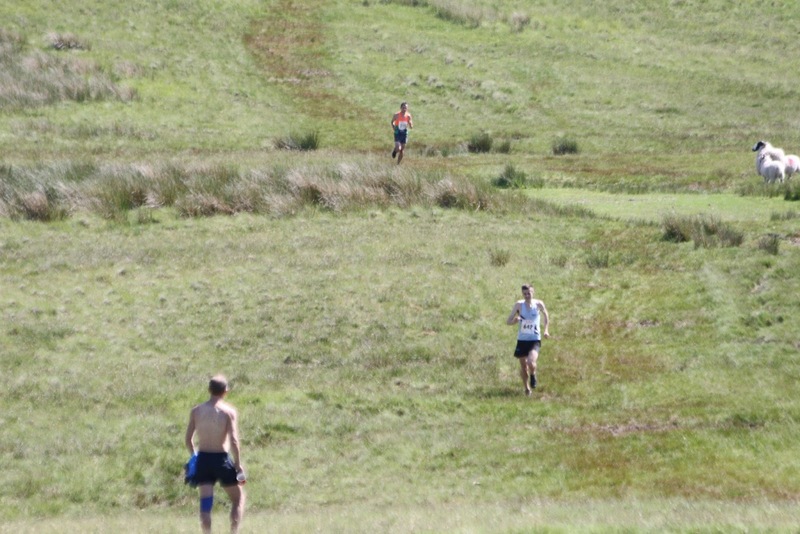 I got to the top in third but quickly overtook Fin as we started running, due in no small part to his calves cramping. I quickly checked he was alright when he stopped briefly to give them a rub but he told me to crack on and catch Sam. With the best of intentions, that never quite happened!" "I think I closed the gap slightly, but his win was never really in question so the last few hundred metres, I didn't try and sprint, finishing about 15 seconds behind." FRB - Really! So in some ways, the fact that you couldn't climb as strongly as Fin helped you, as it allowed you to run off better, cramp free! "Fin did say, at the end, that he knew he was taking a risk pushing that hard on the last climb but had to try it! 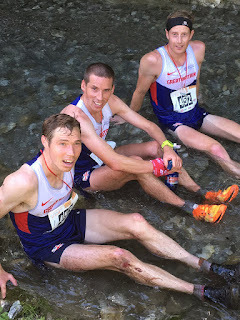 I don't think I've ever had calf cramp in a race thankfully but Sam said his calves were bad on the run-in as well." Tebay was only the third race in a series of six, that make up the 2017 English Championship. 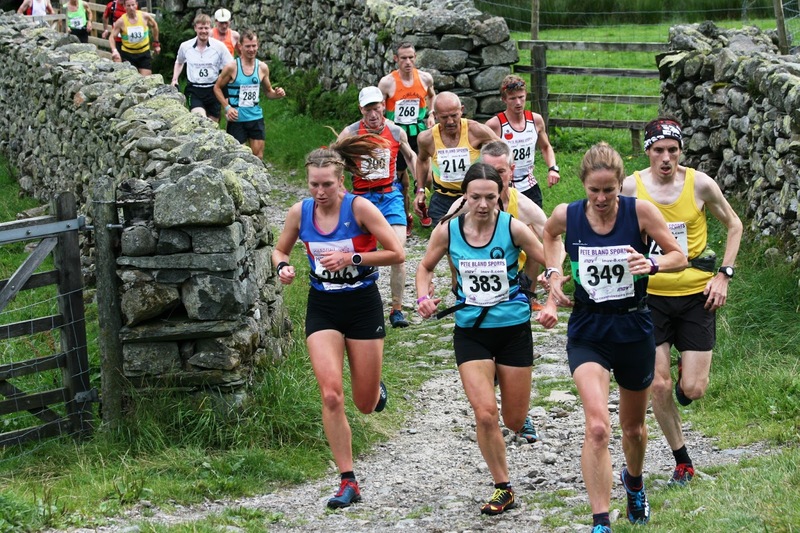 The remaining races are at Wasdale (8 July), Castle Carr (3 September) and Great Whernside (23 September). 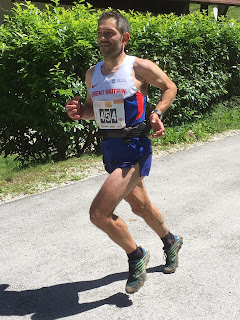 I then asked Chris a little about himself, as he's relatively new to the fellrunning scene and it's quite unusual for someone to take to it so well and rise straight to the top. Chris has spent a lot of this year beating our usual superstars (Carl Bell, Ben Mounsey, Robs Hope and Jebb etc) and this is his first season at the Champs. "I'm living in Lancaster, though as I'm sure as you can tell from my accent, I'm originally from down South. I moved here about 6 years ago to return to Uni. I didn't have any ties to Bowland, but being the most local club to Lancaster, it seemed the obvious choice, in order to meet a few more people and share lifts to races etc. I really like the club; it's relaxed without any pressure whilst being exceptionally friendly, enthusiastic and supportive (admittedly most clubs seem to fulfill that criteria). We've also got a disgraceful vest." FRB - Er you said it. "I started running in May 2015 really (I did do the odd bit of very slow road running a few years ago when I used to climb, I did it to stay light, but we're talking 5k twice a week and then straight home for a fag!)" FRB - I'm sure we need some sort of shocked face image here! "You're right about the Champs though, this is my first attempt. I intended to have a go last year but got hopelessly lost at Black Combe (I was in a group with Jebby, Simon Bailey, Rob Hope and Karl Gray so thought I was in safe hands! To be fair though I'd have been even more lost if I was on my own), and then slightly broke my ankle at the last KWL at Arant Haw which scuppered things." I then forced Chris to tell us about his climbing as I know some of you will be interested and understand what it all means, you can ask him about them in person when you next see him, (don't bore me with his responses please). "Most runner-climbers would probably be disappointed to know that I pretty much exclusively bouldered, with a year or so of sport climbing latterly. I was never a bold Lakeland trad legend but I've got a pretty good knowledge of Lake District bouldering if anyone is after any information on that! I was alright at climbing and it accounts for a large part of my life, but I don't have the time or the energy to get out anymore, at least not at anywhere near the level I used to. I guess Raindogs at Malham would be the most notable sport route I did which isn't very hard by decent climbers standards!" 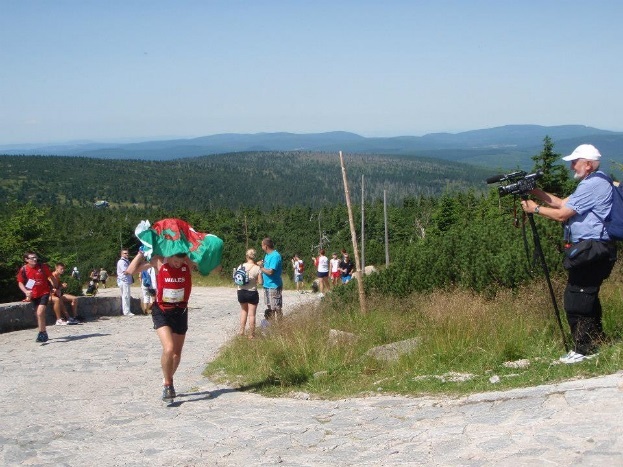 "There's a big overlap between climbers and runners though as you say, and it's only through climbing friends that I started running in the first place. 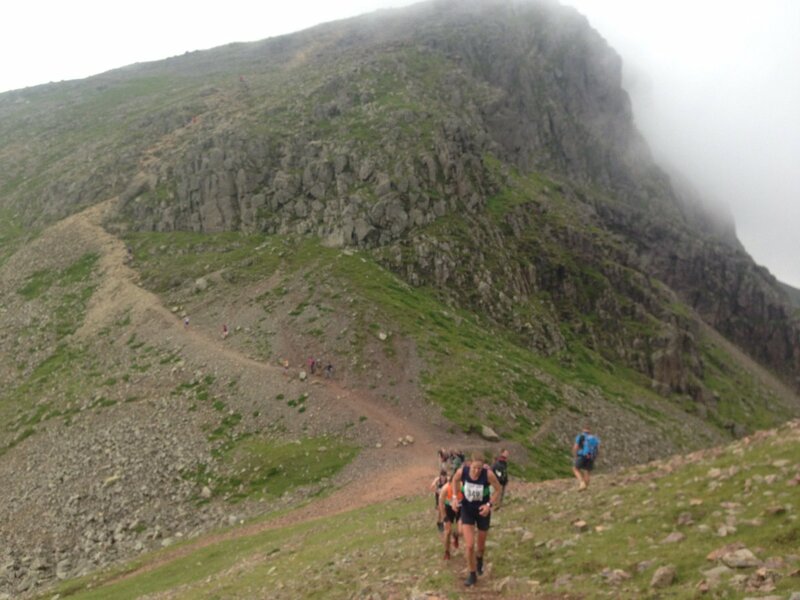 My friend Steve (who owns Frontrunner in Sheffield) announced a few years ago that he was effectively stopping climbing to concentrate on fell running and I remember thinking he was an absolute idiot. I get it now though! There's almost a sub-subculture of ex-climbing fell runners." "But I started to get a bit jaded with climbing. I think I had a finger injury at the time and was getting restless so decided to try and batter myself running up a hill. I absolutely loved it and was hooked almost instantly. 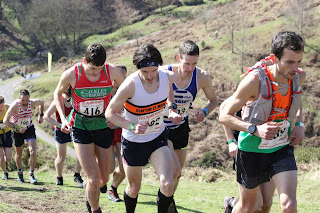 About three weeks later I did my first race on Hutton Roof which I really enjoyed to my surprise. 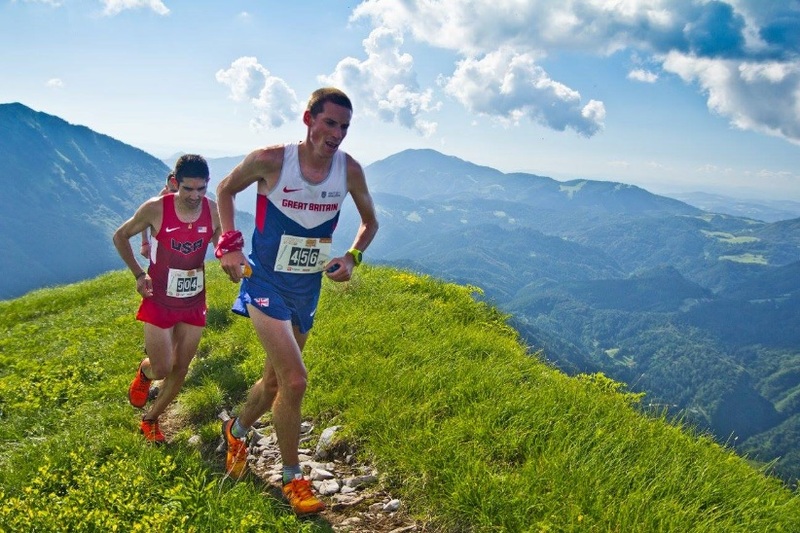 What initially appealed about running was the fact it wasn't pass/fail like climbing and it wasn't competitive. Somehow I still find that with running, but racing just adds an extra element. I've barely climbed since I started running, it's definitely been over a year now." FRB - OK so what about the future.....goals, running ambitions?? "As for future goals....basically everything!" "The English and British Championships are obvious ones to aspire to, but this year has made me realise quite how consistent and rounded (and lucky to some extent!!) you need to be to win them. I'd love for everything to go right one year but we'll see." "There are lots of races I'd like to run just because they look brilliant, or for their history/prestige, like Snowdon, Ben Nevis, The Three Peaks, Scottish Island Peaks etc etc." "I'm going to run the European Championships in Slovenia next month which I'm really looking forward to, so 'Mountain Running' might be something else to look at more closely in the future. It seems a bit regimented and serious compared to fell running though. Because fundamentally I want to just continue enjoy running and using it as an excuse to explore new places. 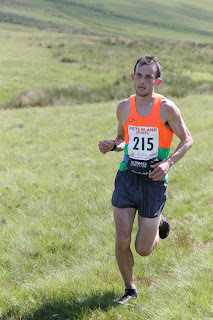 I've been up to Scotland a few times this year which really drives home how small an aspect of fell running, racing is. 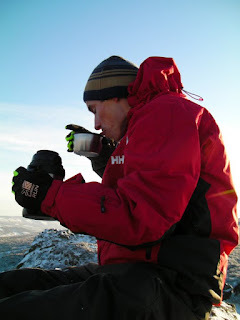 And how ace it is just to go and mess about in the hills with your mates." FRB - Well, that's what it all boils down to for most of us, messing about in the hills with our mates! 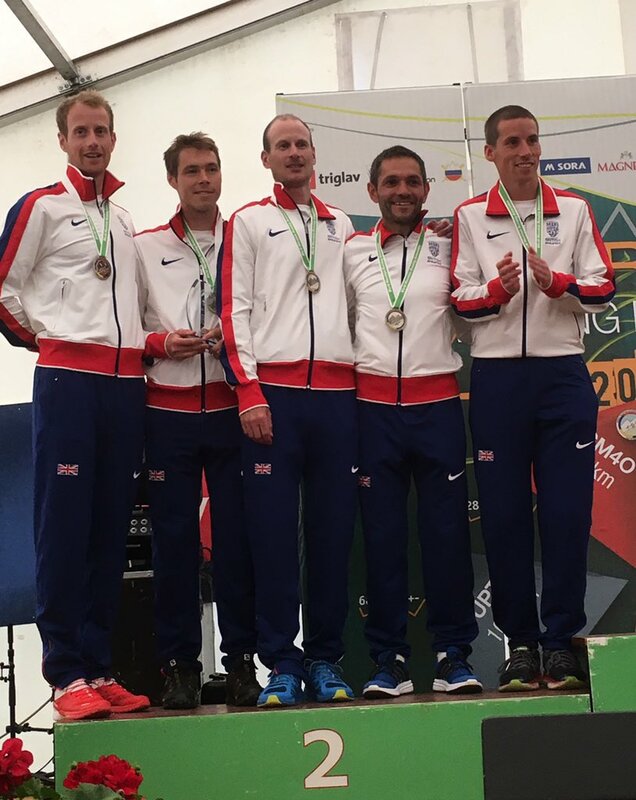 The relays are always a really good team bash, the Hodgson Brothers in early October and then the FRA relays a couple of weeks later, hopefully you'll be part of Bowland's Team. Well thanks Chris, I am really glad I had a chat with you, I hope you don't mind, if I share your thoughts with a few close friends of mine! I'll just wish you good luck in Slovenia and for the rest of the season and er don't be bringing back any duty free fags from Slovenia now! All above photos thanks to Norman Berry. 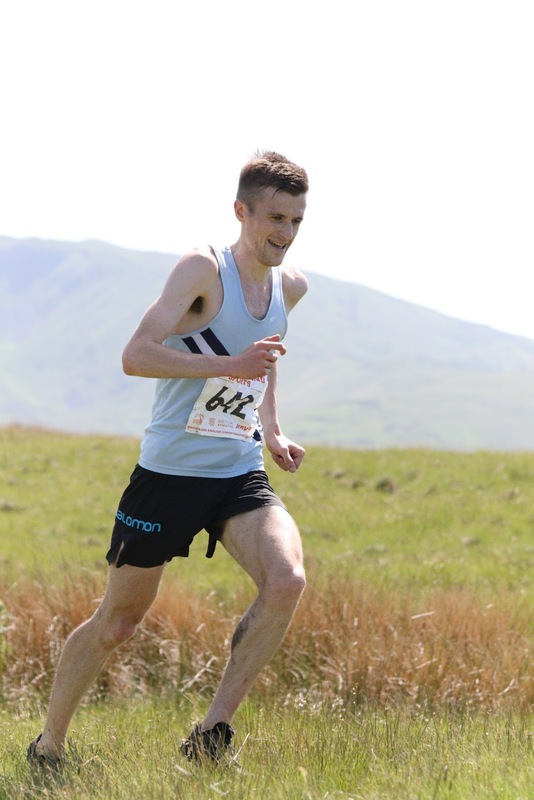 Full results from Tebay here. Out training in mid Wales the other day, I was lucky enough to bump into Andy Davies. 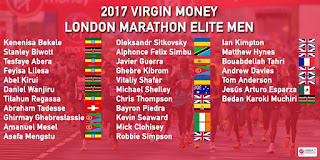 Andy is right in the middle of marathon training at the moment, as he'll be running in the men’s elite race at this year’s Virgin London Marathon on Sunday 23 April, thanks to a marathon PB of 2:16:55 (September 2015, Berlin). FRB - But fell (and mountain) running must be your first love, Andy? Andy - Yes, I love getting up into the mountains. Unfortunately I don’t get the opportunity very often at the moment. When I do get a cheeky chance it’s such a refreshing feeling being in the hills and mountains. Just going off track and getting in some views at the top. 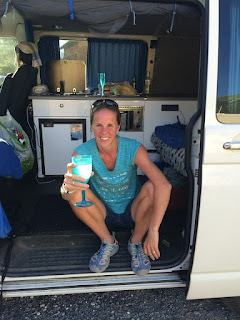 FRB - How did you get into running? Andy - I first started at primary school doing cross country and progressed there. 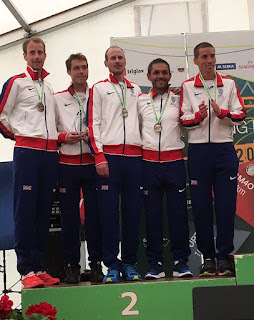 FRB - And what about fellrunning, was it the influence of your brother Tim (Fellrunning British Champion in 2010)? 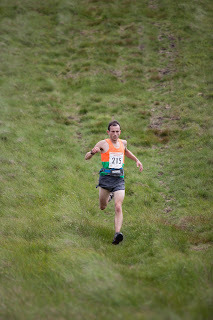 Andy - I was the first in the family to start fell running. So I think I influenced my Dad, brother and sister. I did my first fell race when I was 12, where a school friend introduced me to a local race. It was the Corndon Classic near Welshpool in Mid Wales. I remember finishing in 7th place and loved every minute of it. However, the following year (aged 13) I did the Cardington Cracker near Church Stretton in the Shropshire Hills and found it so hard. A tough 9 mile route. I couldn’t drop out because the wind was so strong on the way back it kept me running! Also, I would have to get back to the finish anyway. I think I came 5th to last. This is where it all started really. So it looks like your move away from the fells happened in 2012. What made you turn from the hills to the roads? 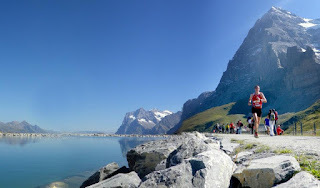 Andy - I started marathon running back in 2006 when travelling in New Zealand and loved them, so wanted to do one every year. I did the Christchurch Marathon in 2:52 from 3 weeks training (in the Blue Mountains just outside Sydney, Australia). 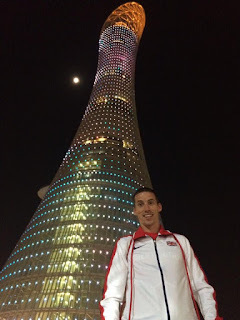 Back in 2012 I was fortunate to get an excellent coach (Steve Vernon), together we hoped I would be able to get to the Commonwealth Games by getting the qualifying time. So I concentrated more on the roads. My coach is pro-fell running so he does allow me to get into the hills, but much of my running is now done on the flat. 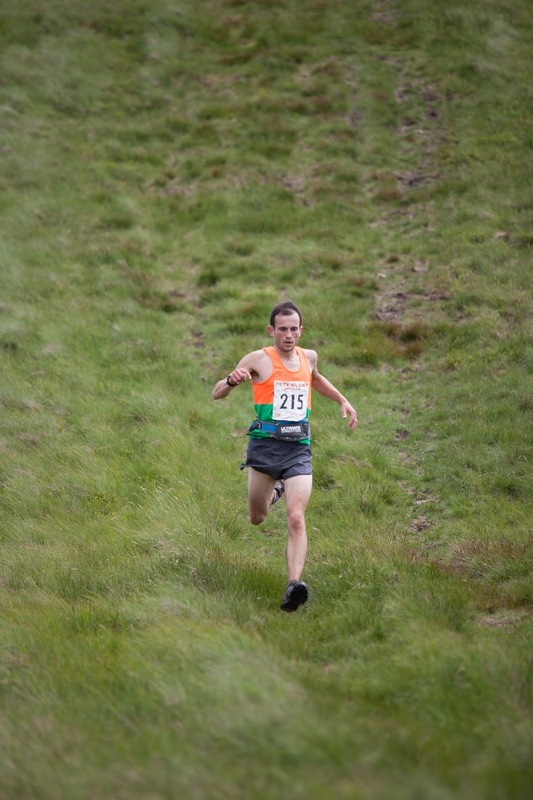 FRB - Let's have a brief look back at your last fellrunning championship race, the Coledale Horseshoe, in 2012. You were 58th that day and over ten minutes behind winner Joe Symonds. Do you remember this race. Did something go wrong? Andy - Yes, I remember this race very well. I was ill in the week, I will spare the details but it wasn’t very pretty at the time! But I thought I had recovered. I remember going off strong and felt quite good but by the time I went up the first hill my legs were shot, everyone went flying past me. Not a good day out. Even on the way down where there was a little hill and I had to walk up it! Andy - Yes, I do wear it occasionally. I have a chuckle every time I wear it! FRB - What was the best result you ever had in a fell race? Andy - My best result was in the British Champs in 2010 in the Black Mountains race. My brother had to win the race to win the British Championships over Rob Hope. He told me just to follow him all the way around, so I did. We finished first and second quite ahead of third and Tim won the British Champs as a result. FRB - Do you intend to return to the fell scene!? Andy - Yes, definitely. I can’t wait to the back to the fell scene one day (don’t know when). I’m still looking to get revenge on the Isle of Jura race and want to do loads in the Lake District and the Dales as I haven’t really done too many races up there. FRB - Do you have any iconic races that you would love to win? 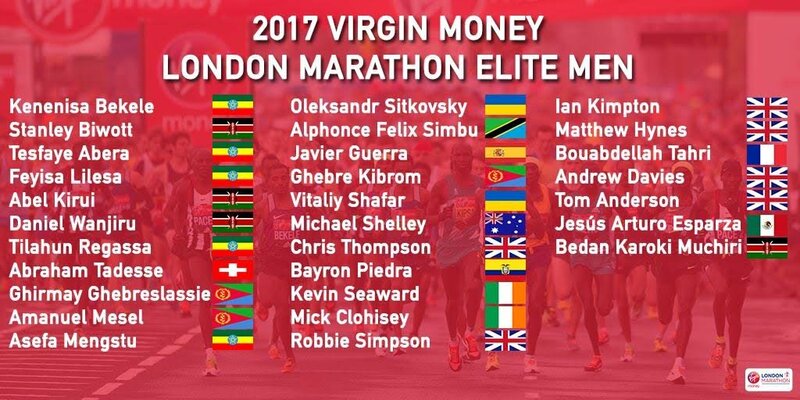 (Apart from the London Marathon of course). Andy - I would love to win Jungfrau, it's such an amazing race with unbelievable scenes. Transvulcania would be amazing to do, but the quality of runners there would make it very difficult. Also, I would like to be the first Welsh man to win the Yorkshire Three Peaks, that would be a sweet victory. FRB - Without wanting to give away any secrets to your competitors, could we have a little chat about training....? Do you live in the hills? Andy - Yes I kind of live in the hills – I live in Newtown, Mid Wales so there are small hills everywhere (getting up to 500m on the Kerry Ridgeway) but the big hills like Cader Idris are about an hour away. FRB - Do you train in the hills? 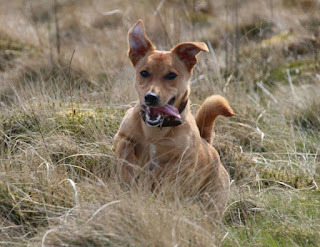 Andy - I mostly run on a canal path on the flat, but will venture up in the hills every now and then. During the summer when I do get the chance then I go quite regularly. I do miss going up in the hills to get some views. FRB - What kind of mileage are you doing (summer / winter) and how much of it is road? Andy - In a 10 week build up to a marathon I will be doing between 95-100 miles a week quite consistently. For a ‘normal’ week the rest of the year I will be doing about 80-85 miles a week. Most of this is canal path, track one a week (during marathon build up) and a long run on the Sunday run (approx. 20 miles) or sometimes a cheeky run in the hills on grass. FRB - What ‘sessions’ do you mix in? Andy - During a marathon build up, most of it will be ‘easy’ miles (approx. 7:15 min miling). I’ll be doing a track session once a week (something like 2 miles, 8x400m then 2 miles to finish), usually on a Tuesday with a long run on a Sunday, approx. 20 miles, usually around Lake Vyrnwy in mid Wales (it’s a lovely quiet 11 mile loop). I also add 2 core sessions per week in addition to this. FRB - Just for the stats fans, what’s the most mileage in a week that you’ve ever done? Andy - The most I’ve got up to was 129 miles – I was knackered by the end of the week. I did 10 miles in the morning and evening from Monday to Friday. 6 miles on the Saturday with a 23 mile run on the Sunday. I don’t want to do that too often either! FRB - This may seem a silly question, but do you have pavements where you live? A lot of fellrunners don’t live in cities or towns and training in the winter can be quite difficult. Andy - Fortunately, I live 100 metres from a canal path. I can either turn right and run into Newtown or turn left and go on the canal path for as far as I want. I’m pretty lucky where I live. I’m sure my dog who runs 25-30 miles a week would disagree with me. She’s a Jack Russell but I think she does enjoy coming out too! Scrappy the dog - "Marathon? Easy!" FRB - How are you dealing with training this Winter? Andy - I’m not a big winter fan. I much prefer the hot summer nights to run in. I just get on with it and count down the weeks until the clocks go forward. There’s always something to focus on through the winter, so it comes and goes pretty quickly. FRB - Do you get creative and try to create shapes out of your gps tracks? Andy - I have done a bit of Strava art but it turns out rubbish. The xmas tree was a bit pathetic. There is a run I do from my mum and dad’s house which looks like a devil with horns (but I’m sure no one else can see it). FRB - And a quick question about your diet, are you a 'clean eater'? do you drink pomegranate juice and such like and more crucially, do you drink alcohol?!? Andy - Yes, I’m pretty clean when it comes to eating. I try and be good in the week with plenty of fruit and vegetables. But get a bit slack at the weekend. I love a Chinese at the weekend or the occasional Indian. I don’t buy crisps on purpose as I know they wouldn’t be in the cupboards very long! 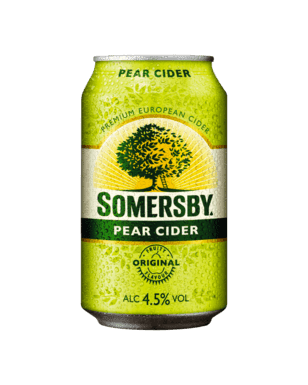 I’m going to sound right boring, but generally I don’t drink alcohol, not because I’m strict, but my taste buds don’t really like the taste of it. Although I do like a bit of pear cider occasionally. Andy's tipple of choice, mmmm refreshing! FRB - Lastly, have you got any races between now and London? Just so we can keep an eye out for you. 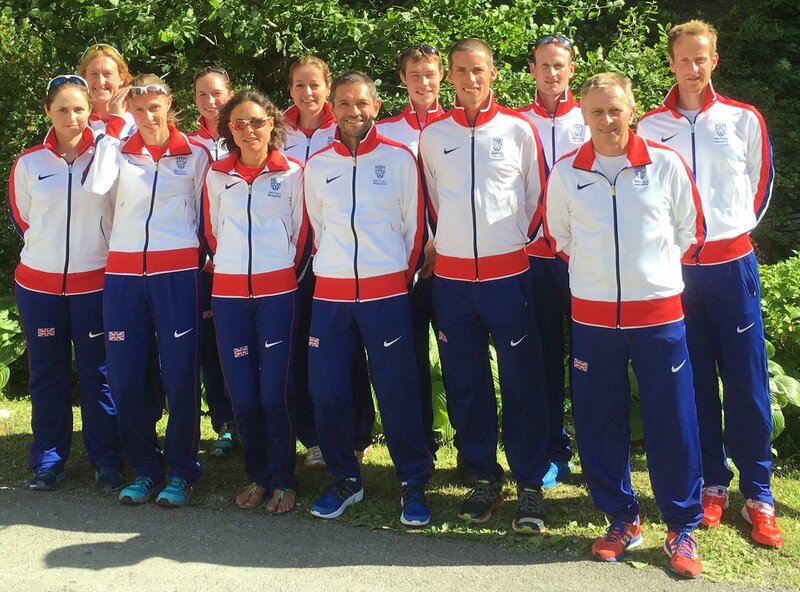 Andy we wish you luck in London and (along with many other fell runners) will be cheering you on via the TV. Andy - Thank you very much, I’ll need it! I’m looking for a sub 2:16 which will hopefully get me a place at the Commonwealth Games in Australia next year. Well I hope you get it, we'd love to see you run in Australia too, taking you back to your marathon roots! 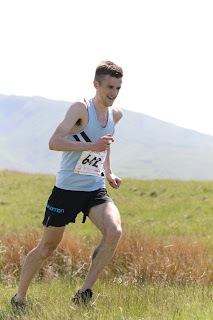 FRB - Lou, this time last week, you were celebrating the win at the Borrowdale Fell Race, which has the reputation of being perhaps the hardest fell race of the year. With it being an English Championship race this year you must be really pleased to have won it. Lou - I can't quite believe it! I am so pleased and surprised to have won. 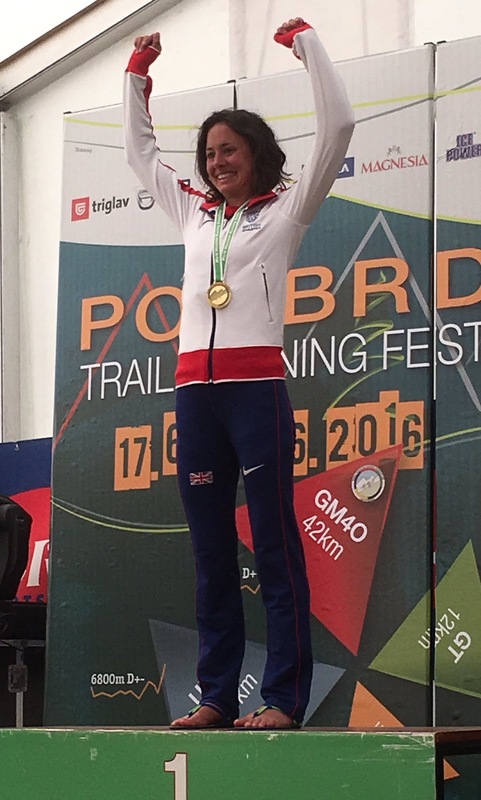 FRB - We at FRB are particularly impressed with this win Lou, as you have always told us you don’t like rough terrain and you don’t like tough descents, Borrowdale is full of rough, tough descents. Look, you even beat Nichola Jackson by nearly ten minutes, Nichola has the reputation of being a demon descender, Nichola won the prize for the fastest descent at Black Combe, the first Championship race this year back in March. Lou - I was telling the truth! 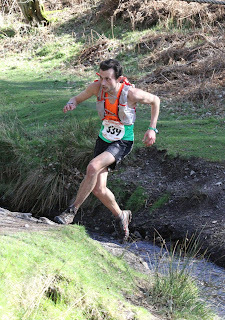 I don't like long races and I'm rubbish at rough descents! Unfortunately, I seem to be better at the longer races. That doesn't mean I'm going to be doing any more of them, I'll just do the ones that I have to for the champs races! FRB - Did you enjoy the race!? You told us at FRB a few weeks ago that you were dreading it beforehand. Lou - Um... I liked finishing it!! It's really hard to say whether I enjoyed it. If anyone out there is like me and is a rubbish descender, they'll know that you have to be a long way ahead at the top of any climb to actually beat anyone else, so even though I was in the lead all of the way, Borrowdale finishes with a really long descent so I was running scared for the whole race!!! FRB - Did you have a race strategy? Lou - Just try as hard as I could on the climbs. I knew if I was still in the lead when we reached Styhead, I had a chance. 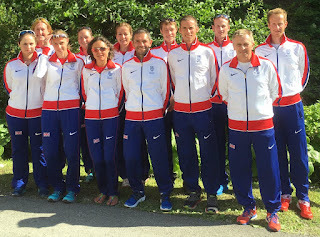 FRB - Did you feel confident before the race? Lou - No! I wasn't sure that I had got enough long runs in!!! FRB - The last time Borrowdale was a championship race was in 2012, the last Olympic year ironically, and in fact, on Super Saturday! The 2012 Borrowdale race was won by Jasmin Paris in 3:32:03, so your time of 3:26:09 for 2016 is pretty impressive. We all know what Jasmin Paris is capable of! 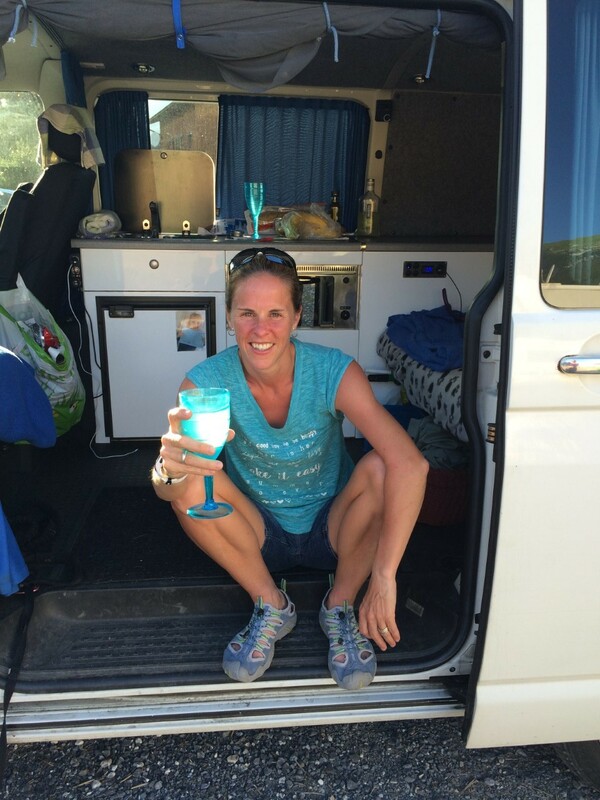 (having taken almost 3 hours off the ladies record for the very rough long distance Bob Graham Round this year). What sort of time were you hoping for this year? Lou - I honestly wasn't bothered about my time, all I was interested in was winning the vets!! FRB - What is the fastest time that you have done Borrowdale in (and what year)?- Or is this your fastest time? 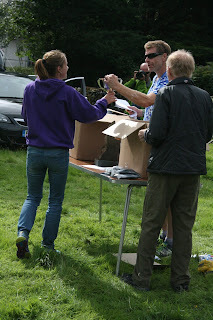 Lou - The last time I did Borrowdale was 1998 and I won in 3.46, so this year is my fastest time!! 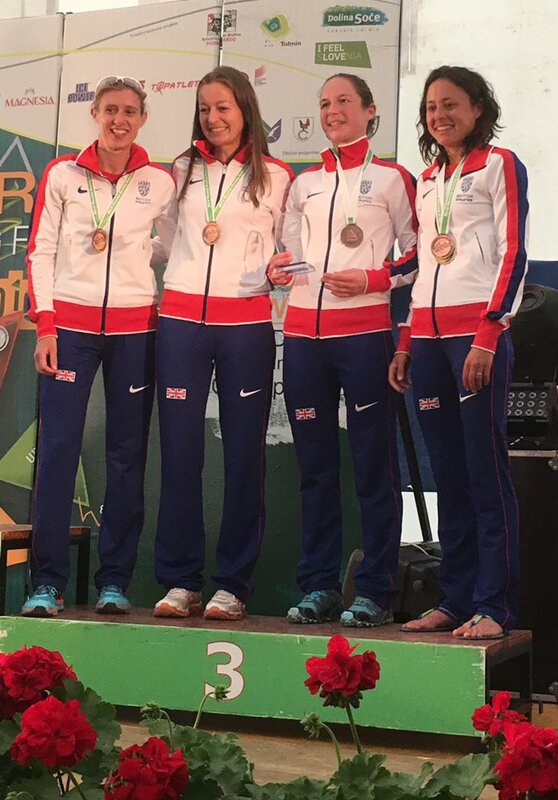 FRB - Did you know you had built up quite a comfortable lead over Nichola Jackson (2nd), Sharon Taylor (4th) and Sophie Horrocks (3rd)? Lou - When I was descending down the corridor route, Dave Ward told me that he was at Scafell Pike with Nichola so I knew she must be close behind me as she is a much better descender to me. Apart from that, I had no idea!! 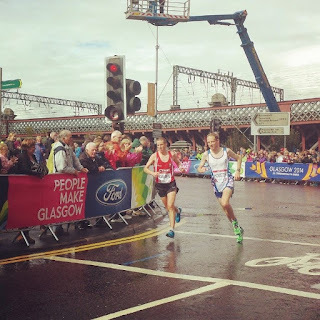 FRB - Did you get moral support from the male runners around you? Lou - Weirdly, I ended up running around with 2 club mates (John Rylance and Dan Goulding) that I don't know very well but who were both really encouraging and helpful! The best bit was going through Honister - there were so many people out supporting and I had so many offers of drinks, it was like being at a high altitude bar!! Unfortunately, nobody offered me any Blue Wkd!! FRB - I bet lots of people were congratulating you after the race, was there anything that anyone said to you that particularly stood out? Lou - To be honest, I was so pleased to have Hazel (Robinson) collecting dibbers at the end of the race and giving me hugs and was so thankful to have Astrid (Gibbs) out on the course handing me drinks and the first person that texted me was Jane (Reedy). It has been great to have done well individually this year but it's not the same as running with your team mates and close friends. For various reasons, all 3 have not been able to run this year so it meant so much to me to have all 3 of them supporting me in whatever way they could! FRB - How did you celebrate the win, Did you have a few bottles of your favourite tipple, Blue Wkd? Lou - We went out for a pizza with Vic and Darren! And with the win at Borrowdale you must feel like you’ve been gauging the training well, Can you give us some idea of what kind of training you are doing? Gym? Speed training, Hills or is it all just jogging with Mayzi the Dog? Lou - I was training with Jane at the start of the year doing a couple of speed sessions a week and have managed to carry on doing one speed session a week all year. (I'm absolutely rubbish at any speed work so thought I would try and improve this year) Other than that, I've just been doing a lot of work on the hills! Mark has helped a lot this year and has been really supportive which helps loads!! FRB - And we know there’s no rest for you yet? What’s the next? Lou - I'm currently in the Alps putting in some last minute training for the World Vets in Italy. 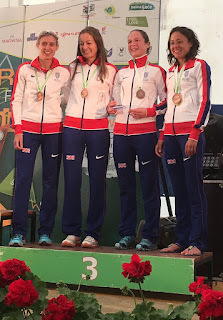 We have a really strong V40 British team with Kirsty Hall and Julie Brisco so I'm super excited for it. I've been aiming for this all year so just hope I run okay!! After that, I've got Merrick to do as I have a chance of winning the British Champs but if Heidi goes the right way, she should win easily! 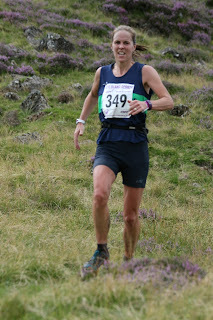 Then there's Langdale (another long race I'm dreading!!) to finish the English Champs! And also, my favourite events of the whole year - the relays. 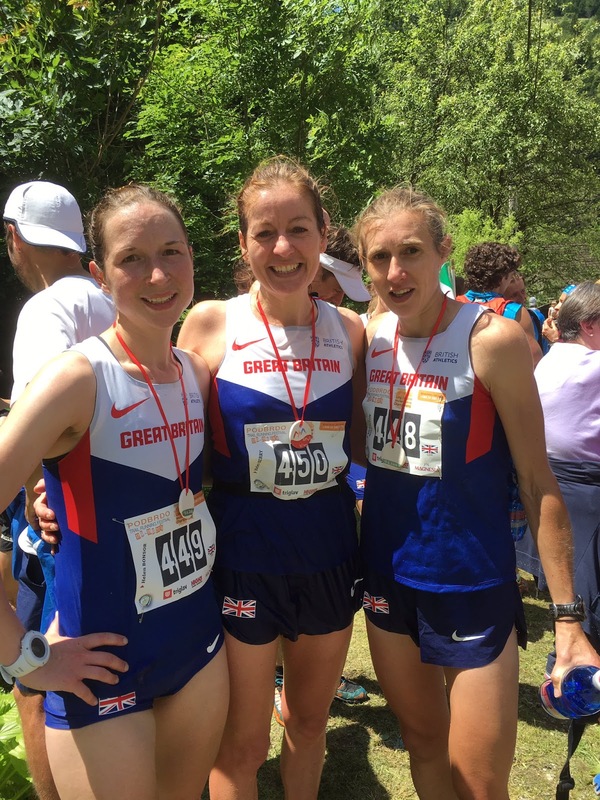 Our Ladies team may have not featured a lot at the champs races this year but I am confident that we will have strong teams out to both the Hodgson Brothers Relay and the British relays in Scotland!! 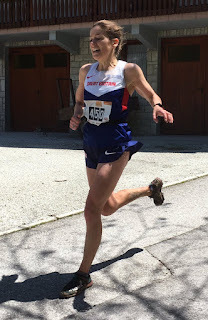 FRB - Let’s just remind everyone, you were Fellrunning’s English Champion in 2003 and 2004 and British Champion in 2002 and 2003 so we shouldn’t be surprised that you have found a fantastic return to form this year, however it doesn’t stop us from being very pleased for you. Well done Lou and good luck at the World Vets!